Istanbul is a city with various attractions. Visitors of Istanbul mainly focus on the Hagia Sophia, Blue Mosque and Grand Bazaar. These sights are close to each other and easy to find. 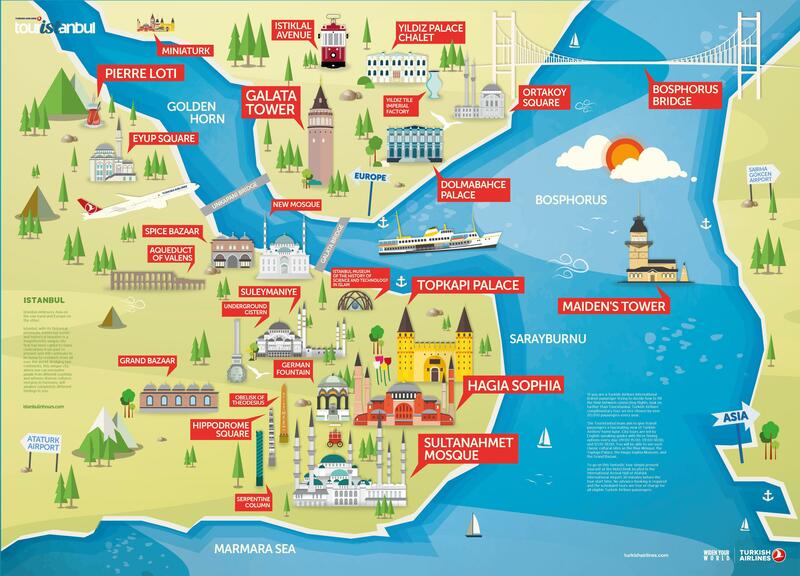 To explore the rest of Istanbul, let’s check our Istanbul Tourist Map. 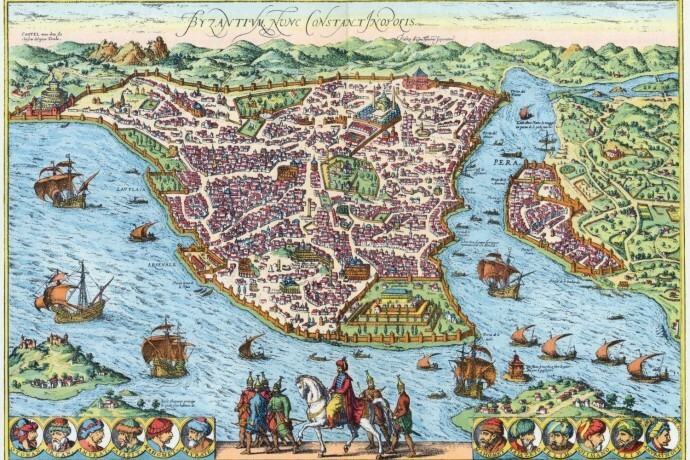 These maps might help you find Istanbul’s hidden gems. 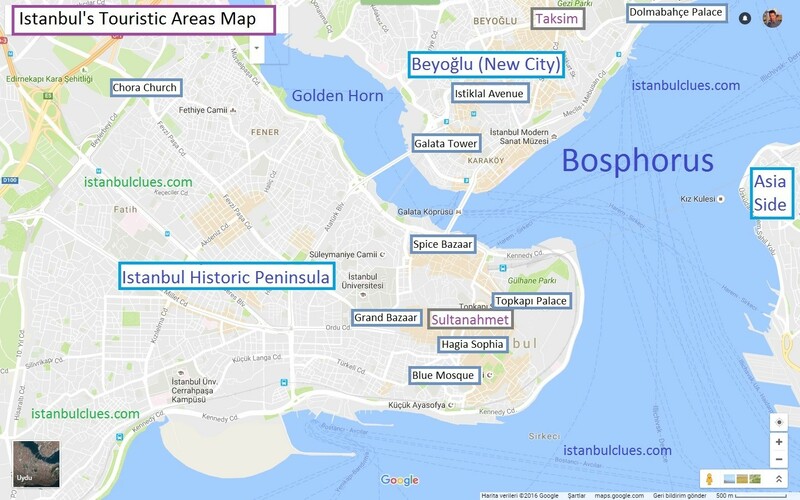 I tried to select the best free maps of Istanbul through the internet, in order to show you touristic attractions and describe you how to find them. I created this simple but handy map based on the Google Maps. This map shows the major places of interest in Istanbul. These are must-see tourist attractions for those who will stay in Istanbul for 2 or 3 days. If you would like to see the top tourist attractions with the assistance of a private tour guide, you may kindly check Istanbul Tours by Local Guides link for more information. Tram T1 Line is the major public transport vehicle to commute between the Istanbul Old City and Beyoglu (New City) areas. 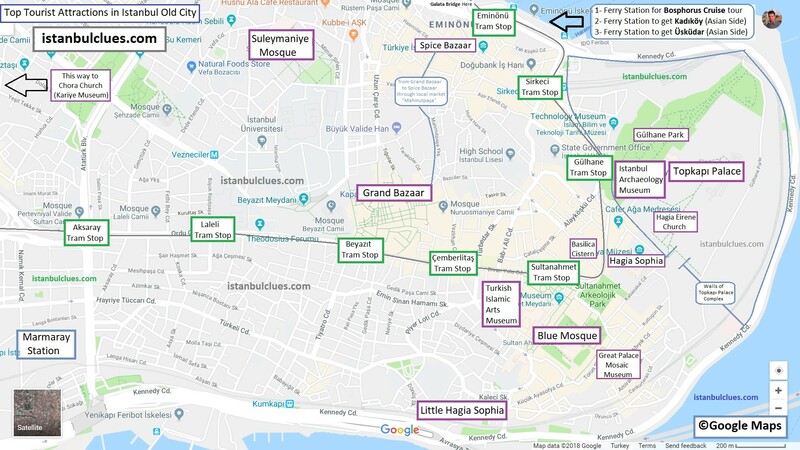 If you are staying in a hotel located in Beyazit, Sultanahmet, Sirkeci or Eminonu (Old City Neighborhoods), Tram T1 will be exteremely useful for you to get to Galata Tower, Istiklal Avenue, Taksim Square and Dolmabahce Palace. 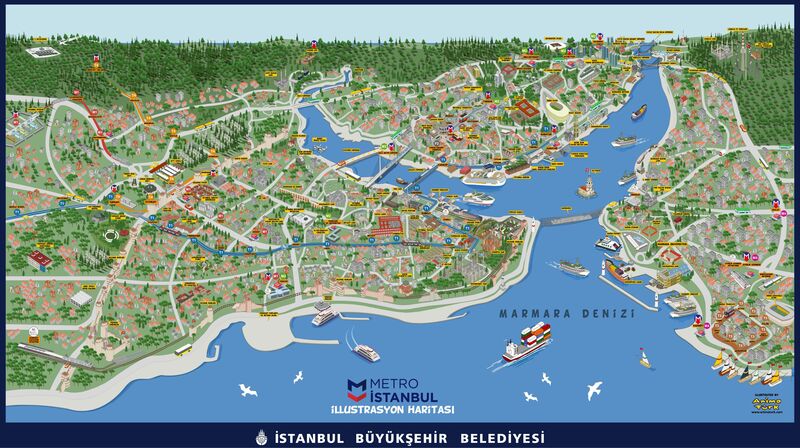 An illustrative map of Istanbul that shows the main tourist attractions around the Istanbul Historic Peninsula (southwest), Beyoglu Modern Istanbul (north) and Istanbul Asian Side (southeast) . 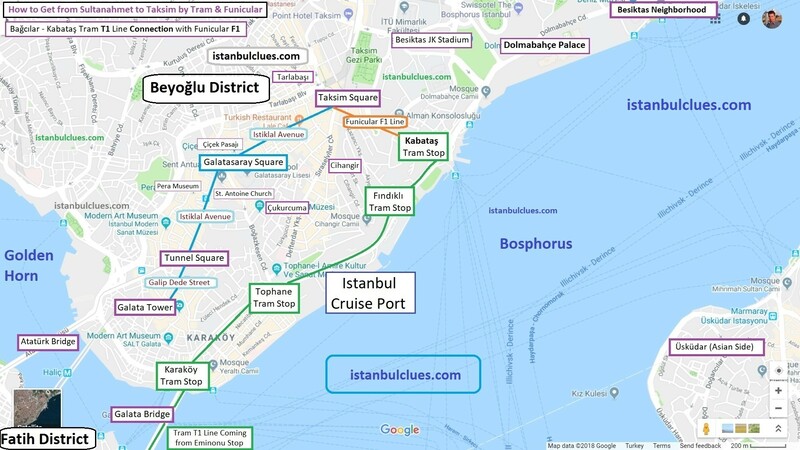 You may click this Istanbul Tourist Map to download it on your computer and study the major areas. 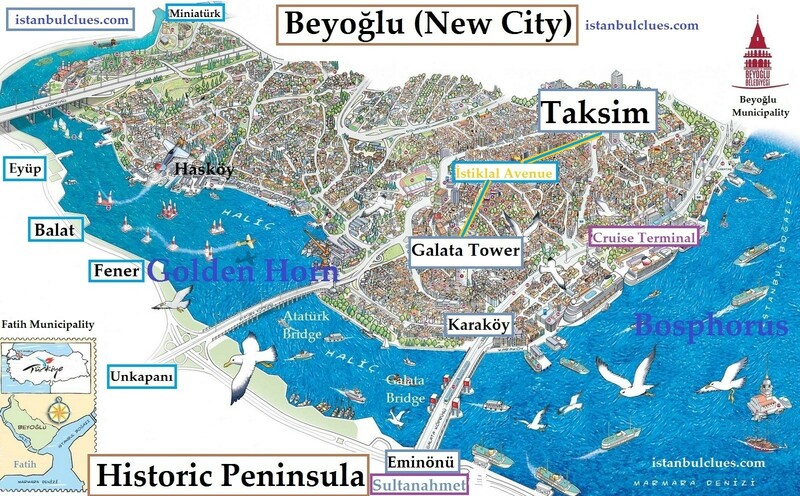 This is a great map to review the Golden Horn and Bosphorus. Golden Horn (Halic) separates the Istanbul Old City (Sultanahmet etc.) from Beyoglu (Modern Istanbul). Both areas literally located on the European side of Istanbul. Whereas Bosphorus separates the European Side and Asian Side of the Istanbul city. Ancient harbour Golden Horn And Bosphorus Strait. Istanbul is a very big city with a lot of attractive hotels. You may find elegant boutique hotels or luxurious five star hotels in every district. It’s more important to decide Where To Stay in Istanbul. So this descriptive map might help you. This map shows you the main places to visit in 4 or 5 days. Both Byzantine and Ottoman heritage of the city displayed on the map. Moreover climbing up to Pierre Loti Hill for having a great Turkish Tea with the view of Golden Horn; or Ortaköy Square to enjoy the view of Bosphorus like locals. Here is a very useful Istanbul Tourist Map of Attractions. Provided as PDF file for free download. Touristic Places Map High Resolution. 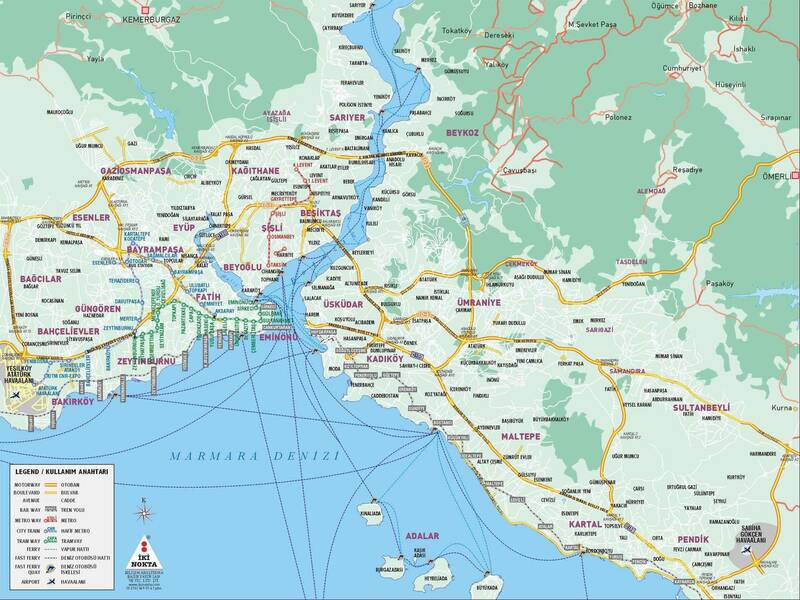 This large scale map can help you get a grip on geographic structure of Istanbul. It shows the upper villages of the Bosphorus like Sarıyer or Beykoz. It also show the inlands of Asian Side as well as the Adalar (Princes Islands) on the southern side of the city. Kadikoy Fish Market and its surroundings are the recommended places to visit in Istanbul’s Asian Side. Fatih (Historic Peninsula & Sultanahmet) and Beyoğlu (Taksim) are considered as the center of the city. You may also see the airports and how close or far they are located from the city center. Extended Map Of Istanbul with Asian Side. 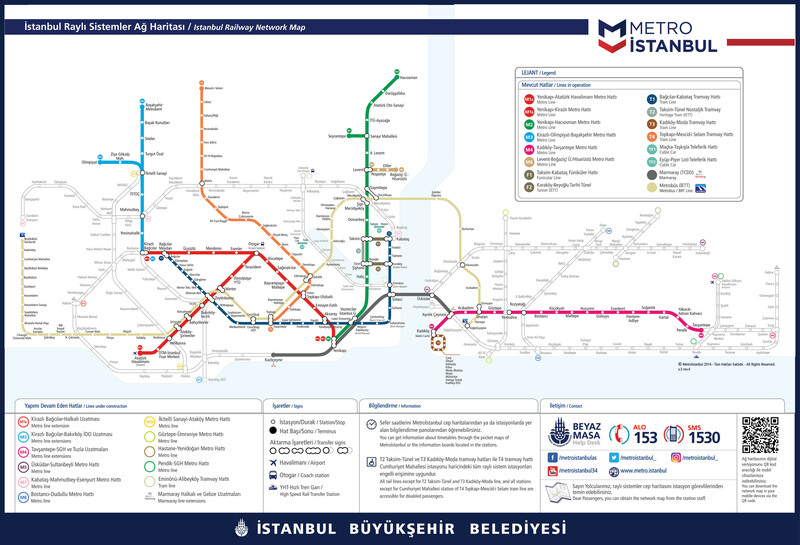 This map shows how to get around in the central Istanbul, with Metro, Tram and Funicular connections. To get more information about the Istanbul transportation please check the links at the bottom of the article. Beyoğlu is the name of modern Istanbul’s main district. This map shows major places of interest around the renowned Taksim Square and Istiklal Street. Everybody wants to see Hagia Sophia, Blue Mosque, Basilica Cistern and Topkapı Palace when they come and visit Istanbul. All of them very near to each other and perfectly located for a daily walking tour. These kind of sightseeing tours usually end up at Grand Bazaar. A gigantic historical shopping place with its 3000 shops. Bosphorus is the heart of Istanbul city. Locals love watching it from the restaurants and cafés from all around the Bosphorus shores. 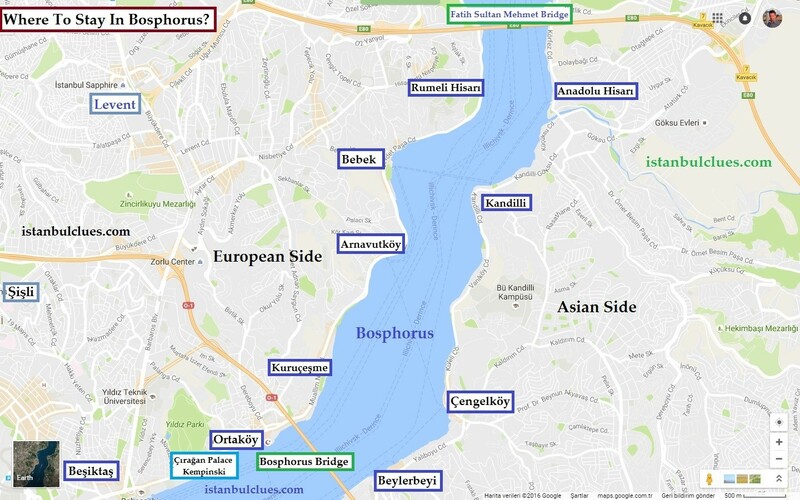 This map show the major neighborhoods that are located near to Bosphorus. Walking up from Ortakoy to Bebek strongly recommended to the visitors of Istanbul. Most beautiful views of Bosphorus can be seen around the Ortaköy and Bebek bays. 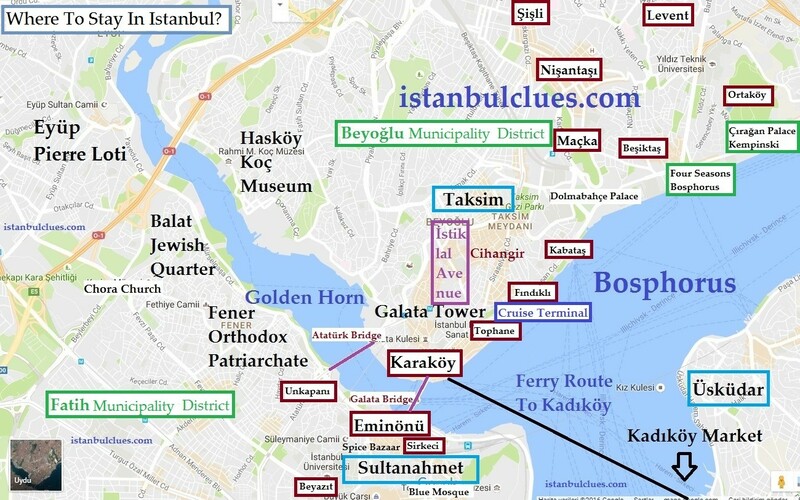 I hope Istanbul Tourist Map blog article would help you find your way around Istanbul. Hello Nora, thank you for expressing your appreciation. Good motivation for us to carry on improving the blog. Have a good holiday in Istanbul!